Yarn Type SALE 34% OFF! A gorgeously soft and furry yarn with a glimpse of metallic thread running through it. It comes in a range of both sophisticated fashion colours and the classics of cream and white. This yarn is perfect for making glamorous garments and accessories, as well as gifts. Ophelia is machine washable and easy care.. 57% Acrylic, 40% Nylon, 3% Polyester. Machine Washable/wool cycle. 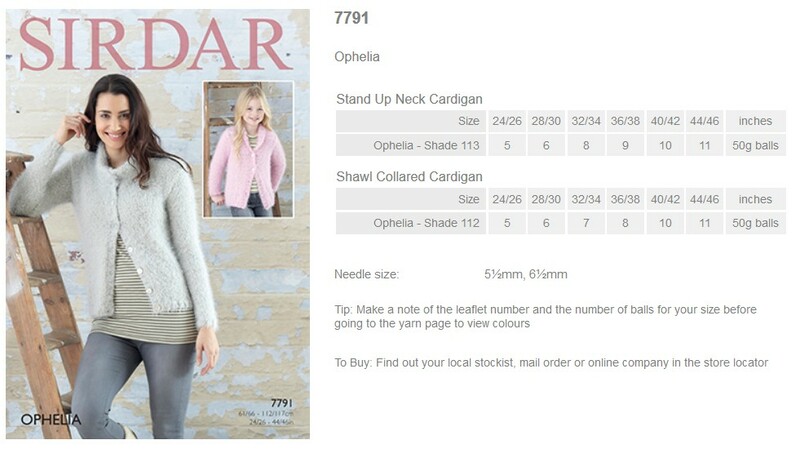 Leaflet with designs for a Ladies and Girls Cardigan using Sirdar Ophelia. 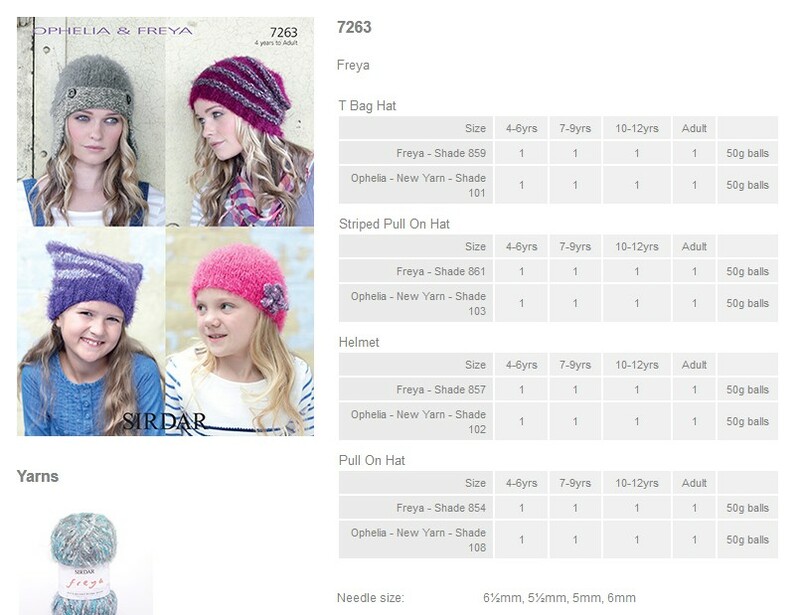 Leaflet with designs for Hats using Sirdar Ophelia. 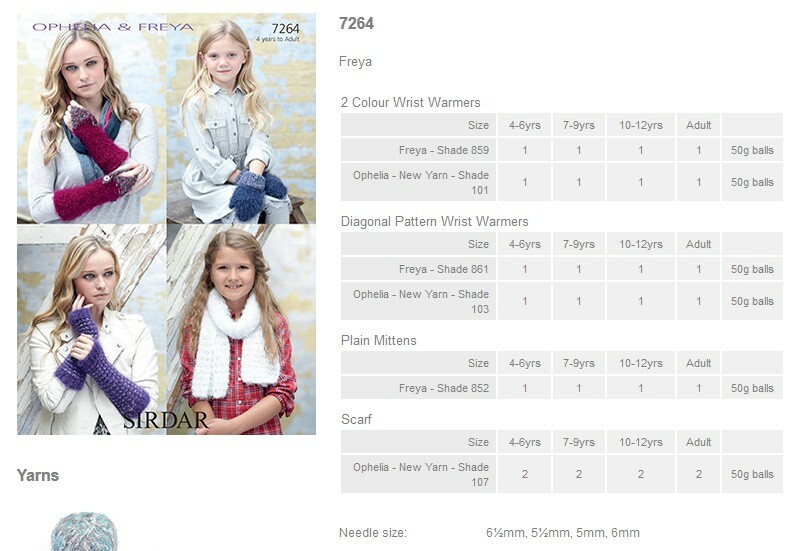 Leaflet with designs for Gloves, Mittens and Scarf using Sirdar Ophelia. 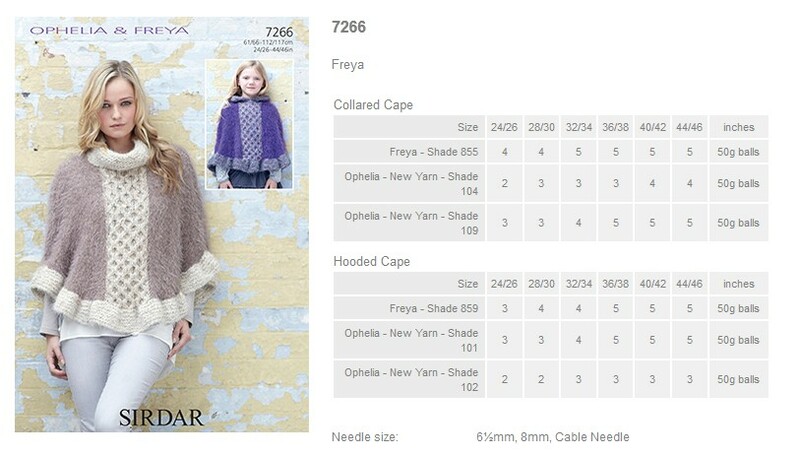 Leaflet with designs for Ponchos using Sirdar Ophelia. 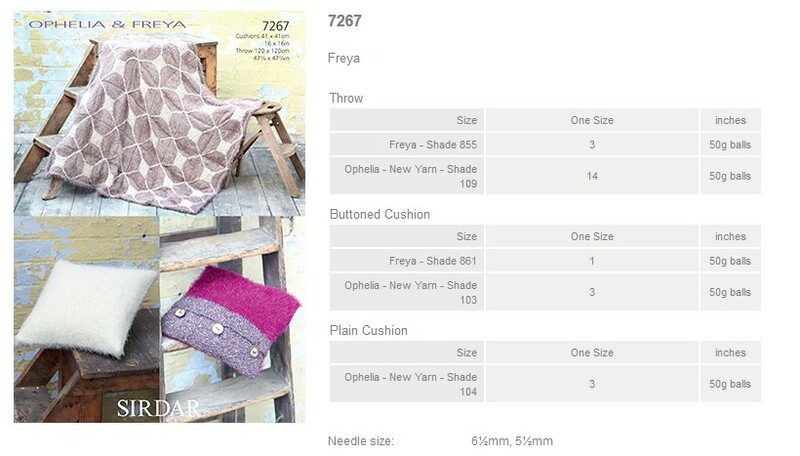 Leaflet with designs for Blanket and Cushions using Sirdar Ophelia. 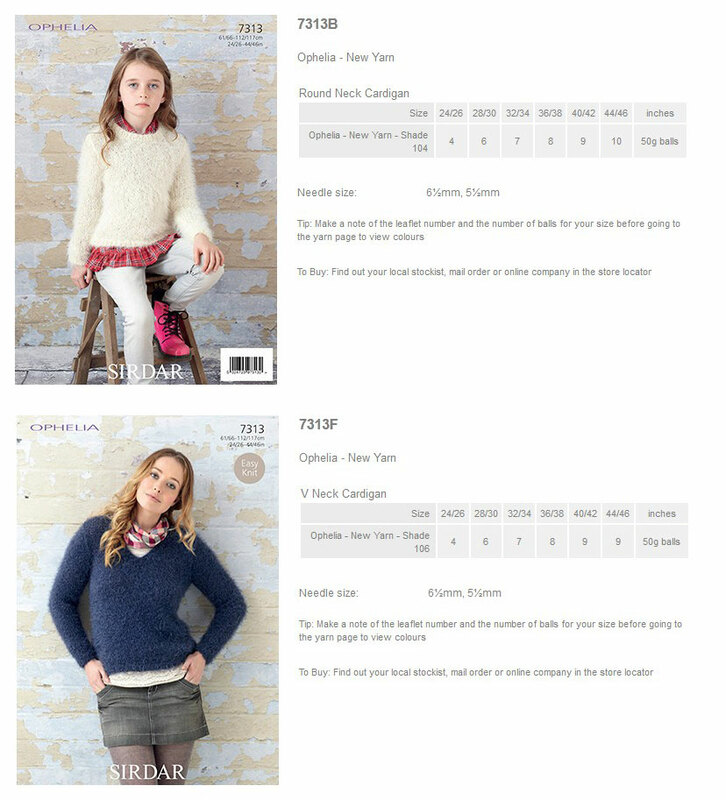 Leaflet with designs for Cardigans using Sirdar Ophelia. 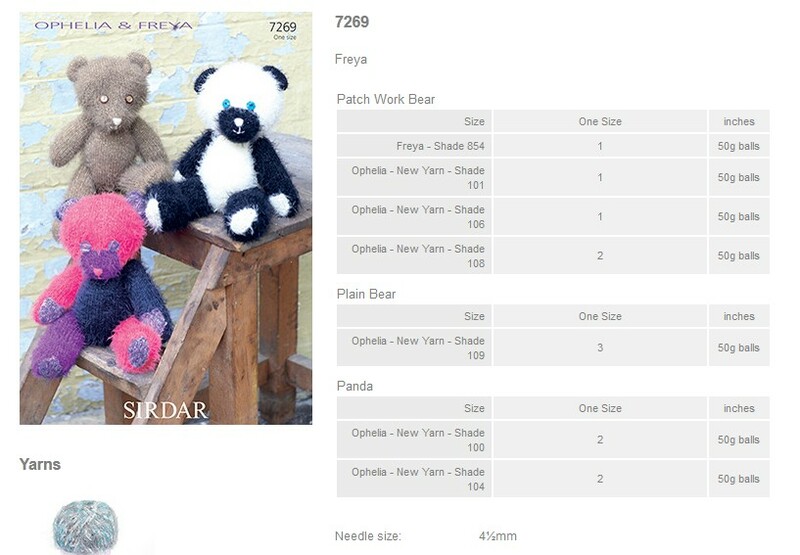 Leaflet with designs for Teddy Bears using Sirdar Ophelia. 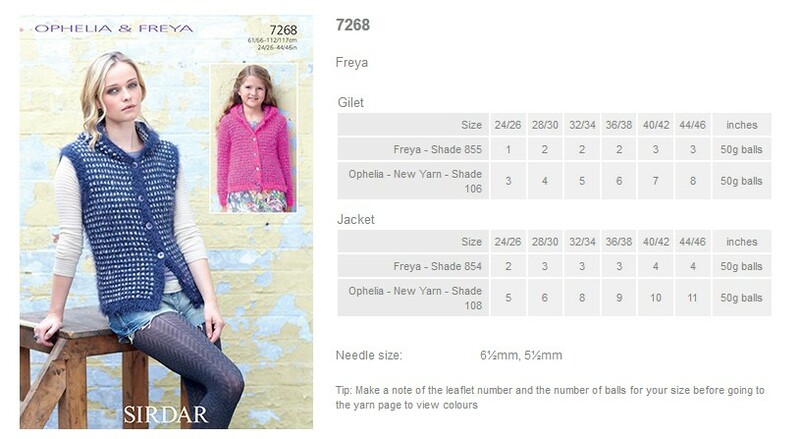 Leaflet with designs for Sweaters using Sirdar Ophelia. 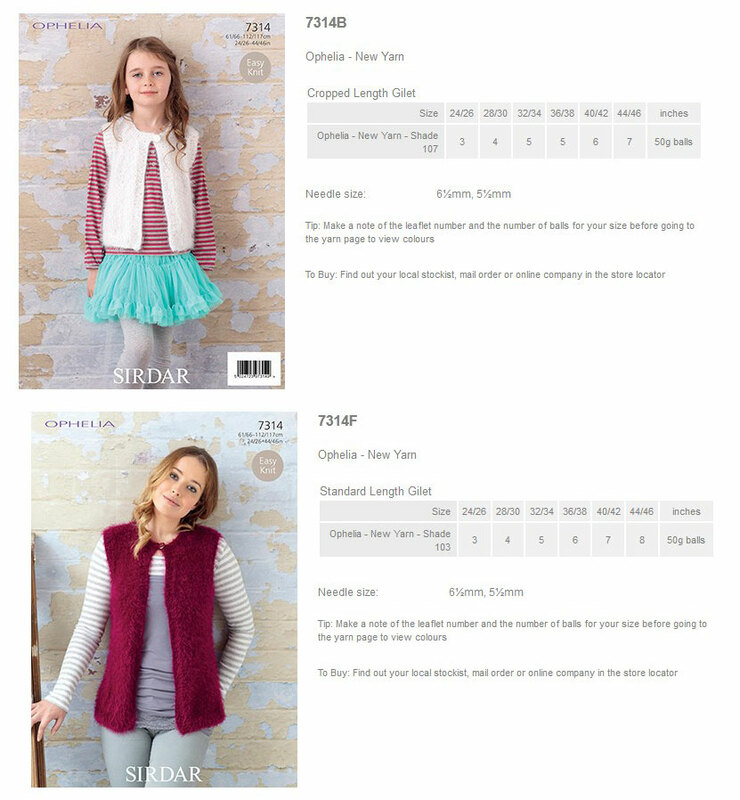 Leaflet with designs for Sleeveless Cardigan using Sirdar Ophelia. 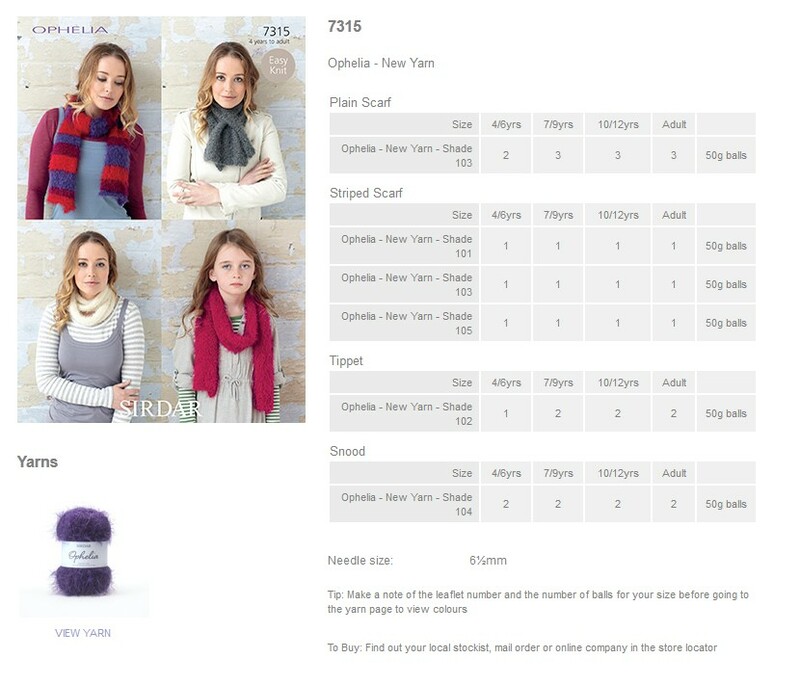 Leaflet with designs for Scarves using Sirdar Ophelia.